All fully furnished with modern conveniences to make sure your stay with us is enjoyable and as easy as possible. 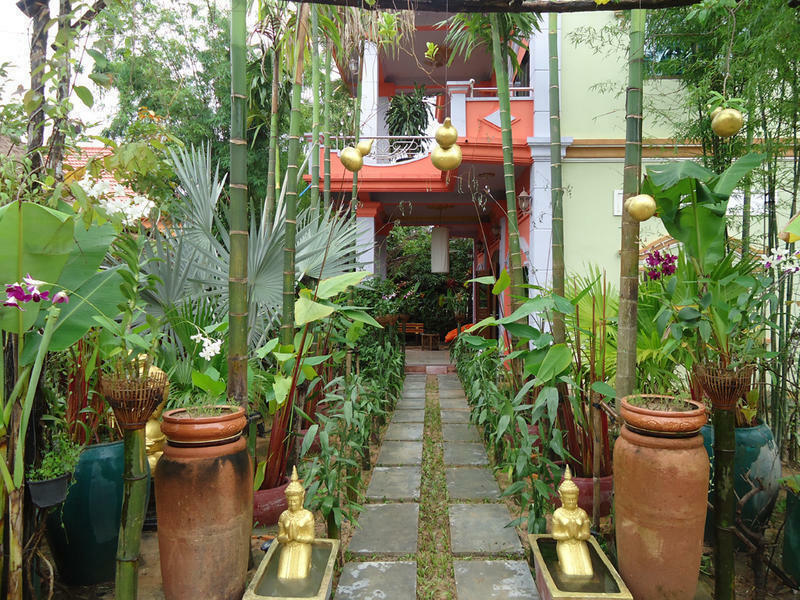 The entire building is decorated in a colorful and modern way with a splash of Khmer artistry and style thrown in to make an eye-pleasing environment, add to the fact the place is kept immaculately clean at all times. 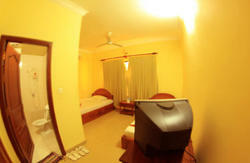 The owners are also security conscious and have sought to make a safe and secure lodging for your peace of mind. Try the restaurant with a full drinks and food menu, also a great place to meet fellow travelers or just watch a movie on the TV. 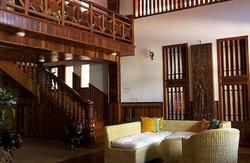 The Jasmine Garden villa is large enough to accommodate your needs and yet small enough to be cozy and intimate. 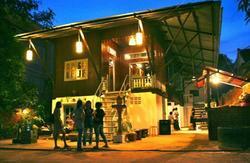 All good guesthouses, Jasmine have restaurants providing quality cuisine and we are no exception. Whatever your culinary desires we here at Jasmine Garden Villa have the chefs and kitchen staff to fulfill them. Sok San Street, Siem Reap town, Steung Thmey Village, Svay Dangkum Commune, Siem Reap Cambodia. 5 minutes walk to Night Market, Old Market & Pub Street.